Deepanjan Nag's Magnum Opus: CHESS! 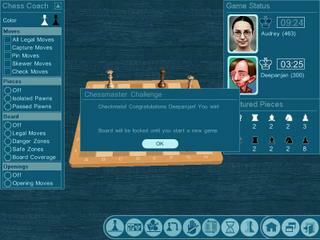 Played Chess...and won 4 games, drew 1. 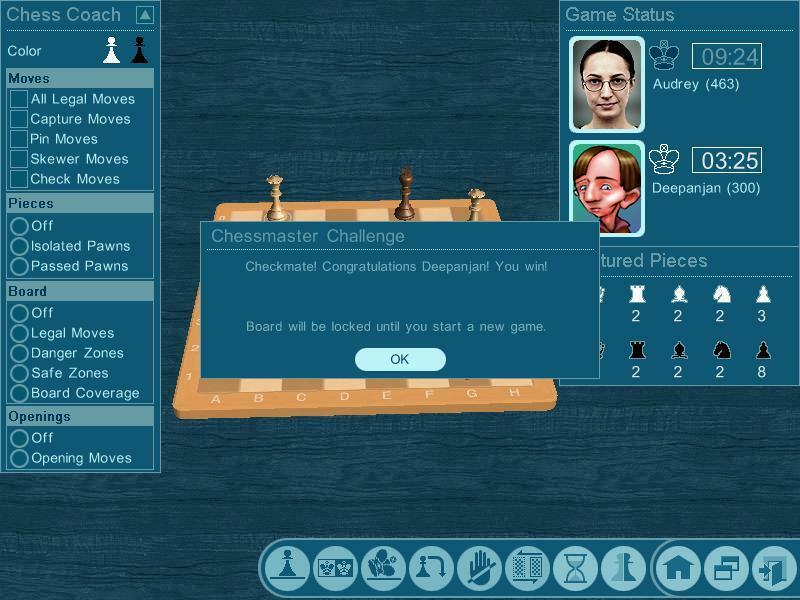 It's atleast 4 years since I last played Chess. won 4, drew 1... good. what abt "LOST"??? I actually managed the draw only thru a stalemate! With your levels of IQ, I wonder whether your opponent was even a toddler. It was actually a supercomputer. It turned Deep Blue with envy! First, of all i loved the way the facts were given out.I like the style and oritntation of the matters and how point is to be brought about.And as said earlier,I surely erge you to try for the short story arena.I know there could br hurdles ,but everything could be done through, since the essential qualities are with u,which are less in this part of time and world.So do update ur blog and expect my comments atleast in a fortnight.